SINGAPORE -- U.S. President Donald Trump cast his Tuesday summit with North Korea's Kim Jong Un as a "one-time shot" for the autocratic leader to ditch his nuclear weapons and enter the community of nations, saying he would know within moments if Kim is serious about the talks. 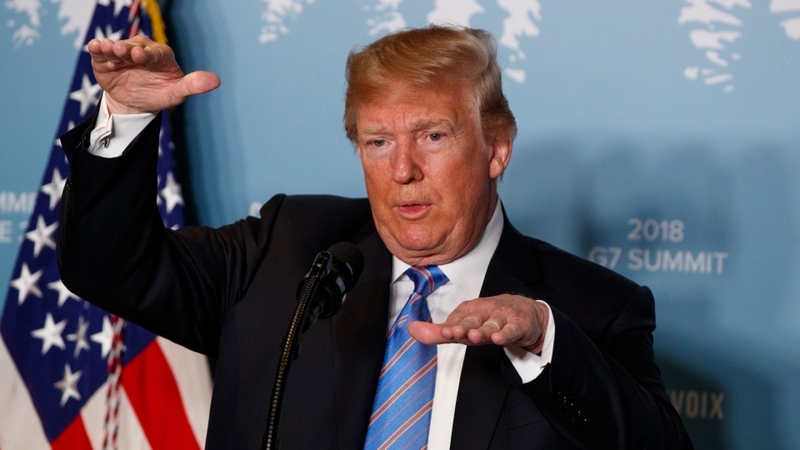 Trump also praised the North Koreans, saying they have been "really working very well with us" during preparations for the summit, even though Trump had cancelled the summit last month following a recent period of what he called "tremendous anger and open hostility" from the North Korean government. But then Trump did a quick pivot, signalling almost immediately after scrapping the meeting that he was open to going ahead with it after all. U.S. defence and intelligence officials have assessed the North to be on the threshold of having the capability to strike anywhere in the continental U.S. with a nuclear-tipped missile -- a capacity that Trump and other U.S. officials have said they would not tolerate.